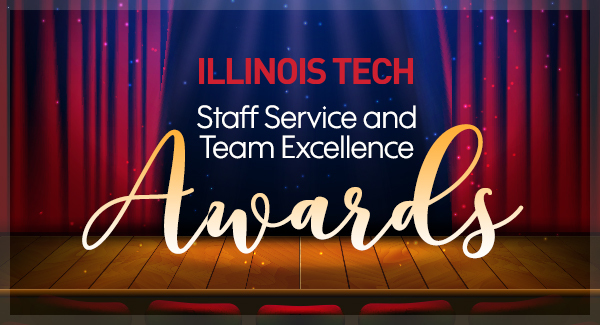 The Office of Human Resources will host the Staff Service/Team Excellence Award Ceremonies on Tuesday, December 11 from 2–3:30 p.m. in the Hermann Hall Auditorium prior to the IIT/IITRI Faculty and Staff Holiday Party. Human Resources recommends your attendance, pending supervisor concurrence, to support an honoree. Staff who have achieved from five years to 40+ years of service at Illinois Tech will be honored. Here is a list of the staff being honored this year. Congratulations to all employees achieving significant anniversary milestones! If you are unable to attend in person, the entire ceremony will be live streamed here.